The genre of Proverbs is mainly “Proverbs” as the name describes, there are also some Parables and Poetry. This book was written mainly by Solomon, the wisest king ever to rule, however some of the later sections are written by Lemuel and Agur. It was written during Solomon’s reign 970-930 B.C. He asked God for wisdom to rule God’s nation and He granted the request. The main purpose of this book is to teach wisdom to God’s people. Proverbs are short clever explanations, which are easy to remember. They contain truisms. These are things which are typically true however, not always. For example, “He who tills his land will have plenty of bread” (12:11), it is typically true that one who works his land will have bread but it is not a guarantee to always be true. They deal with life, principles, good judgment, and perception. They often draw distinctions between a wise man and a foolish man with parable type examples. 23rd April 2017. Wisdom - Proverbs 3. 30th April 2017. Proverbs (Wisdom) - Compassion. 7th May 2017. Courage - Proverbs. 14th May 2017. Proverbs - Wisdom at Work. 28th May 2017. 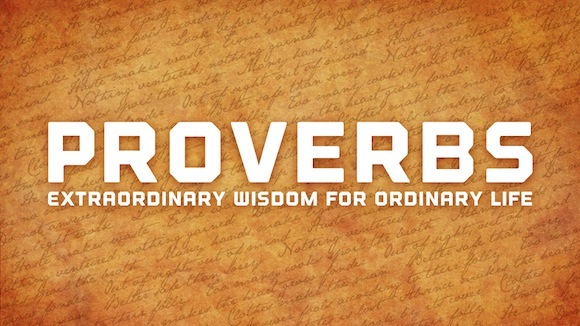 Proverbs - Wisdom in Perseverance. 4th June 2017. Proverbs - Guilt and Shame. 2nd July 2017. Everyone a Witness. Words, Works and Wonders. Matthew 28. 9th July 2017. Trust - Proverbs 3. 16th July 2017. God Reliant - Proverbs 3. 23rd July 2017. The Love of God - Proverbs. 30th July 2017. Promote the Gospel. Colossians 4:2-6.